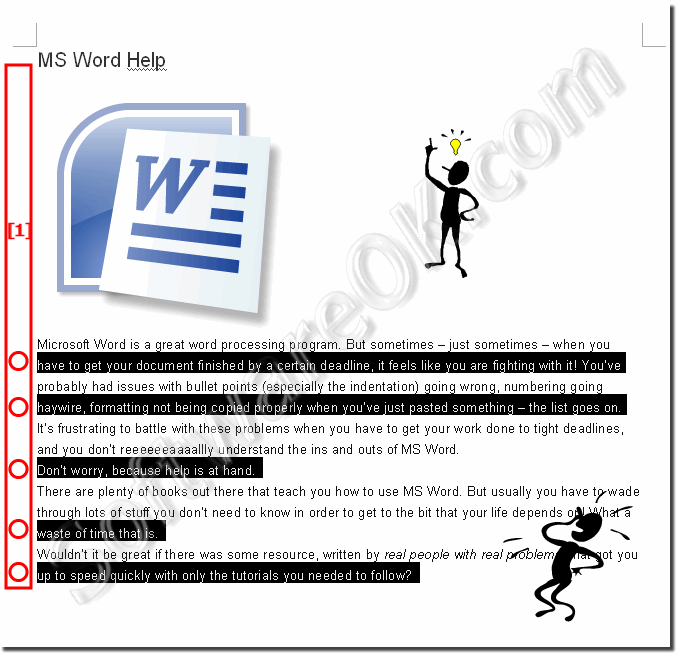 The solution is simple to select multiple non sequential Text Rows in MS-Word! (Image-1) Select multiples not sequential Rows in MS-Word! Sometimes if you need to format or delete some no adjacent Rows, and to work easier if you can select these non adjacent Rows, brings you a trick ergo solution to select no adjacent Rows quickly in the (c) Microsoft(s) Word. Microsoft-Office - FAQ-2: How to select multiple non sequential Rows of Text in MS-Word? Select and delete some no adjacent Rows in Windows Word! ?